Recently, a major language services provider suffered a day-long outage as a result of a hurricane impacting critical (offshore) infrastructure. This provider did not seem to have built redundancy into its network. In a healthcare setting, that kind of outage is dangerous - it leaves providers with no way to communicate with their limited-English proficient patients unless the provider happens to have their own interpreters (for the specific language in question) on-site. We've written before about the adverse impacts on patient safety and satisfaction that result when medical staff fail to use interpreters. When a language services provider drops the ball, those adverse impacts may be unavoidable. Does your language service provider have the infrastructure to stay online during an emergency? With several language service providers operating offshore contact centers, it's more important than ever to know if a company has a reliable source of interpreters and service connection. Does your provider consistently stay online, even when disaster strikes? 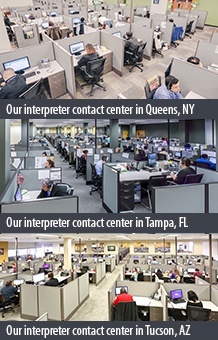 CyraCom has built the largest network of US-based large-scale interpreter contact centers - geographically diverse and capable of handling several times its regular call volume in an emergency. 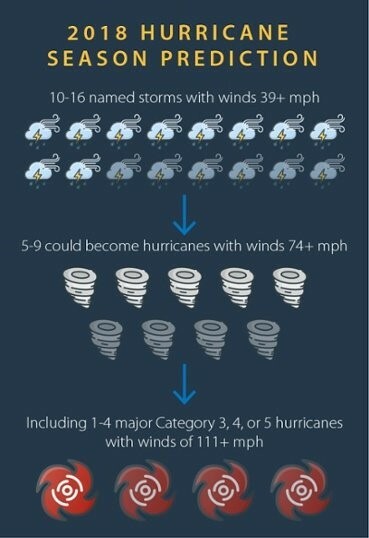 Should hurricanes hit any of our locations this season, we will be able to seamlessly shift the call flow to our other centers for uninterrupted coverage. It's a huge investment on our part; one we made because we understand that in healthcare, having service go down isn't an option. Want to learn more about how CyraCom's built-in redundancy may help prevent outages? Learn more here.